Yet another proposed mixed development by Enlight Homes Sdn. Bhd. at Butterworth. Strategically located on an approximately 2-acre land near Jalan Raja Uda, fronting Jalan Ong Yi How. 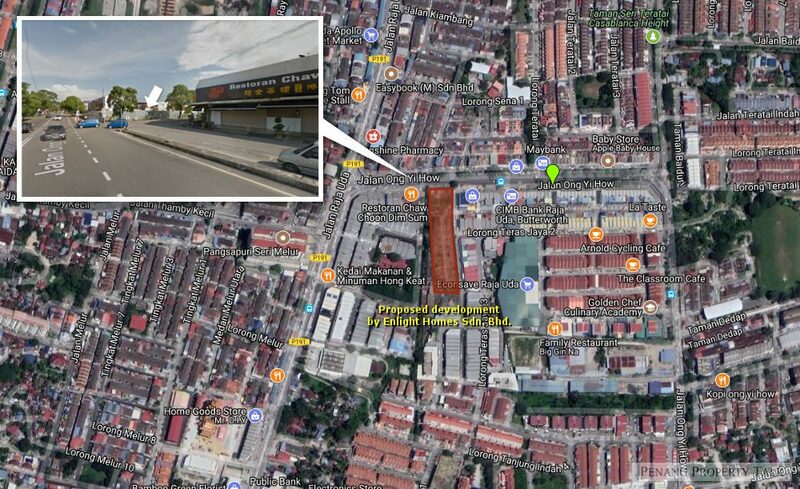 It is within walking distance to Econsave hypermarket, about 20 minutes drive to Penang Bridge. It will also offer 26 units of shop offices at ground level. The development is still pending for approval. More details to be available upon official project launch. Developer: Enlight Homes Sdn. Bhd. Pls send me detail info to leonard5081@hotmail.com. Thanks!